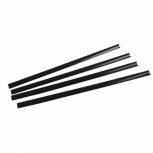 Durable A4 Black 6mm Spine Bars (Pack of 50) 2931/01 Pack of 1 Instantly binds and secures your paperwork. Unique contoured loading edge allows paper to be easily inserted. Ideal for use with PVC report covers or single sheets. 6mm 60 sheet capacity. Colour - Black. Durable A4 Black 9mm Spine Bars (Pack of 25) 2909/01 Pack of 1 Durable Spine Bars instantly binds and secures your paperwork. Unique contoured loading edge allows paper to be easily inserted. Ideal for use with PVC report covers or single sheets. Size A4. 9mm 80 sheet capacity. Colour - Black. Box 25. Durable A4 Transparent 6mm Spine Bars (Pack of 50) 2931/19 Pack of 1 Instantly binds and secures your paperwork. Unique contoured loading edge allows paper to be easily inserted. Ideal for use with PVC report covers or single sheets. 6mm 60 sheet capacity. Transparent. 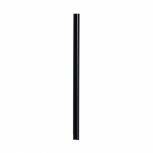 Durable A4 Black 12mm Spine Bars (Pack of 25) 2912/01 Pack of 1 Instantly binds and secures your paperwork. Unique contoured loading edge allows paper to be easily inserted. Ideal for use with PVC report covers or single sheets. Colour - Black. 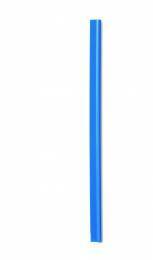 Durable A4 Blue 6mm Spine Bars (Pack of 100) 2901/06 Pack of 1 Durable Spine Bars instantly binds and secures your paperwork. Unique contoured loading edge allows paper to be easily inserted. Ideal for use with PVC report covers or single sheets. Size A4. 6mm 60 sheet capacity. Colour - Blue. Box 100. 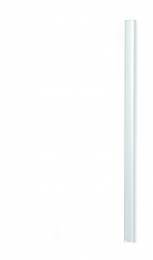 Durable A4 White 6mm Spine Bars (Pack of 100) 2901/02 Pack of 1 Durable Spine Bars instantly binds and secures your paperwork. Unique contoured loading edge allows paper to be easily inserted. Ideal for use with PVC report covers or single sheets. Size A4. 6mm 60 sheet capacity. Colour - White. Box 100. 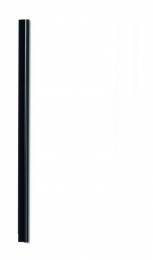 Slide Binder A4 6mm Black (Pack of 100) WX29310 Pack of 1 Slide binding for collation of documents. Easy way to collate and fasten documents. Simple and easy to use. Prevents loss of documents. Perfect for proposals, projects and reports. Supplied in a pack of 100. Colour: Black. Q-Connect Black A4 5mm Slide Binder and Cover Set (Pack of 20) KF01926 Pack of 1 Q-Connect Slide binder and Cover Sets for simple and inexpensive binding of reports and presentations. A4 Clear Covers and 5mm capacity. Black. 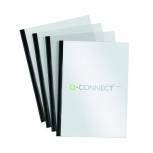 Q-Connect Black A4 5mm Slide Binder and Cover Set (Pack of 100) KF01940 Pack of 1 Q-Connect Slide binder and Cover Sets for simple and inexpensive binding of reports and presentations. A4 Clear Covers and 5mm capacity Black Slide binders. Durable A4 Black 6mm Spine Bars (Pack of 100) 2901/01 Pack of 1 Durable Spine Bars instantly binds and secures your paperwork. Unique contoured loading edge allows paper to be easily inserted. Ideal for use with PVC report covers or single sheets. Size A4. 6mm 60 sheet capacity. Colour - Black. Box 100.